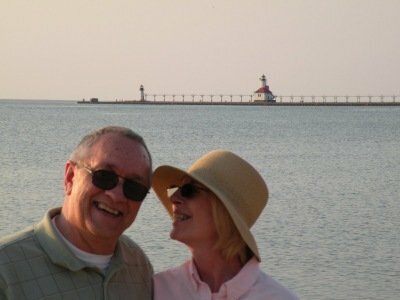 What Makes Romantic Lake Michigan So Romantic? Come Discover Michigan's "Gold Coast". 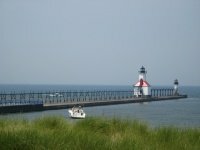 Lake Michigan's coast (along western Michigan) is loaded with destinations for the true romantic. Often called the "Gold Coast" because of its breathtaking sunsets, this Michigan shoreline delivers. Are you captivated by spectacular sunsets? 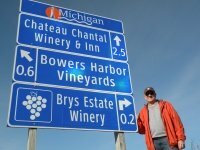 Sue and I spend most of our spare time traveling up and down Michigan's west coast searching out special areas and points of interest for you. 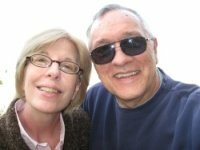 Our goal is to help you find and appreciate Michigan's romantic attractions. 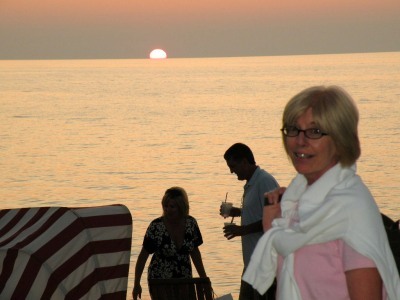 My lovely wife Sue and a breathtaking northern Michigan sunset. 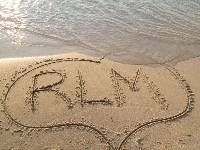 Whether you are looking for a romantic weekend getaway, romantic Lake Michigan vacation, or the perfect beach wedding and Michigan honeymoon destination, this site is designed for you. Do you love walking hand-in-hand along miles of pristine beaches? If you are a beach lover this site is for you. Come along and discover all that makes this Michigan lake such a romantic destination. If you are fortunate enough to live close by (like us) take advantage of day trips. There is no better way to refresh your spirit than to climb a dune and gaze at the largest freshwater lake in the United States. Michigan's west coast is the perfect romantic destination. Discover sleepy little beach towns. Stay in enchanting lakeside hotels and romantic inns. Enjoy gourmet meals at cozy lakeside restaurants. Explore the many art galleries and antique shops. Tour the shoreline along scenic highways and roads. 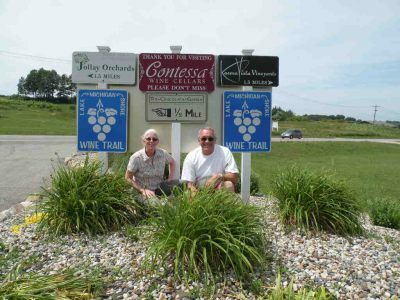 Taste the offerings at world class wineries along the way. Catch some sun and enjoy a swim at one of the many Michigan beaches. Golf some of the finest courses in the country. Visit the many historic lighthouses. Take advantage of year around seasonal offerings. 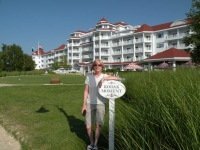 We have enjoyed many of the romantic destinations Michigan offers on this site and will continue sharing our special finds with you. Yes, we have our favorites and we are sure once you visit you will find your favorites too. Be sure to check back and share them with us. So come along, rekindle your soul. 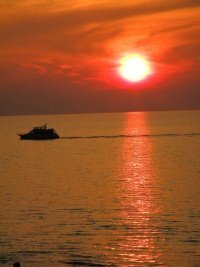 Enjoy romance at a place unlike any other, then you too will understand the meaning of Romantic Lake Michigan ... a lovers paradise!